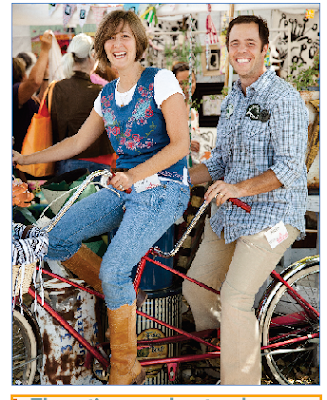 OK - so this pic is a little (or A LOT) cheesey of me and B on my bicycle built-for-two at the 2009 Country Living Fair - BUT it is going to be in Country Living's September issue coming out in early August. The article talks about the 2010 CL Fair in Columbus this September and I'm so excited that HomeGirl gets to be part of it. We had such a great time at the fair and look SO FORWARD to it again!!! The CL Fair dates are September 24-26 at Ohio Village, Columbus, Ohio. COME SEE US!!!! 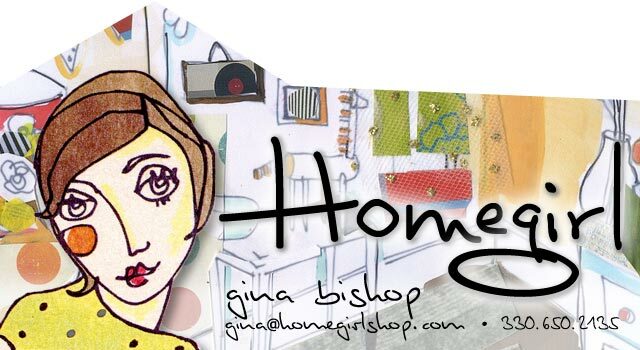 It was great to see you and your adorable girls a few weeks ago. You should be very proud of them - they are delightful. The pic of you and Brian is adorable. Congratulations on the big Country Living mention. I will definitely grab a copy and look forward to seeing many cool things to come! Cheesy? Maybe... but SO cute!!! :) Congrats on your new modeling career! !